When I measured with the frequency counter, the frequency of exactly 1.000Mhz was measured. Amateur radio operator 'B' will receive radio waves from 'A' in SSB receiver. 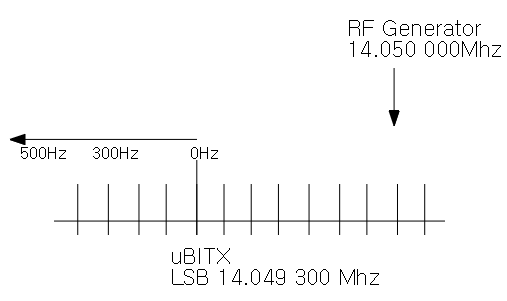 'B' set the mode to LSB and tune the frequency to 1.000Mhz. 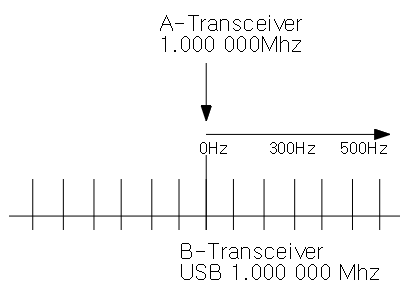 Can 'B' receive the CW sound transmitted by 'A'? 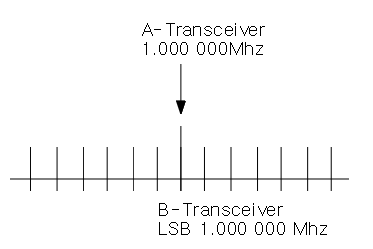 Below is the structure where A and B communicate. Now you understand why B can not hear CW sounds? 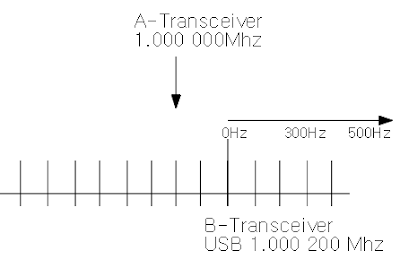 So let's change the frequency of B's Transceiver a little bit? 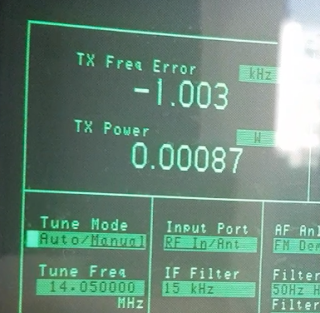 Increased frequency by 100Hz, 1.000100Mhz. 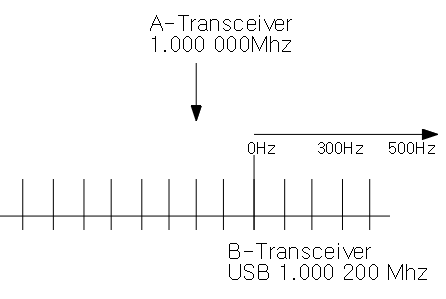 The 1.000 000 MHz transmitted by A is 100 Hz lower than that of B. 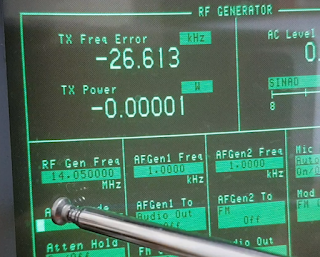 B can hear the CW sound transmitted by A at 100Hz. 100Hz is too low for human to hear, let's increase the frequency a little more? B set the frequency to 1.000 800Mhz. 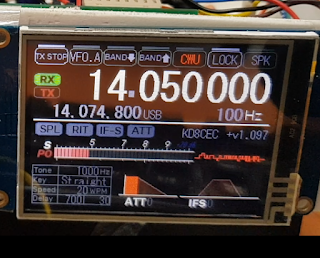 CW sound transmitted by A is heard at 800Hz. USB mode is also the same. Can B hear the CW sound sent by 'A'? 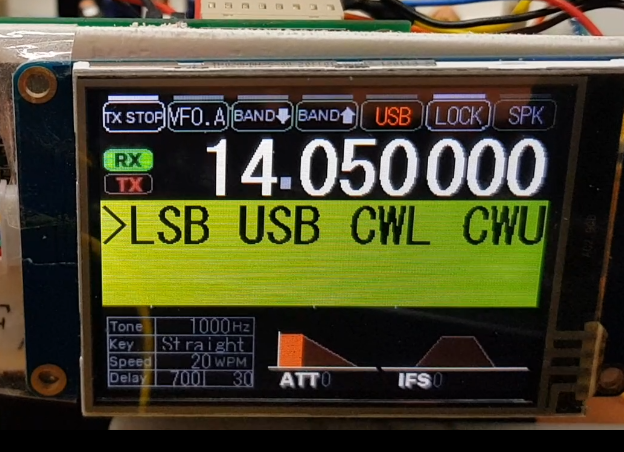 Yes, B can not be received CW. 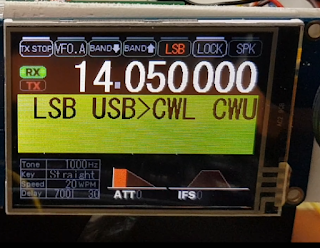 So what does 'B' have to do to receive the CW sound? 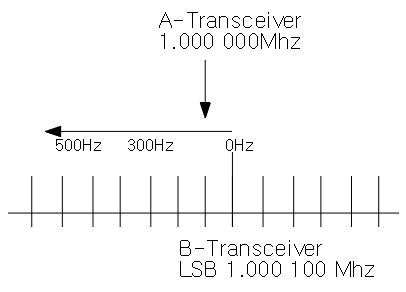 Will it increase frequency like LSB? 'B' could not receive any CW sound. 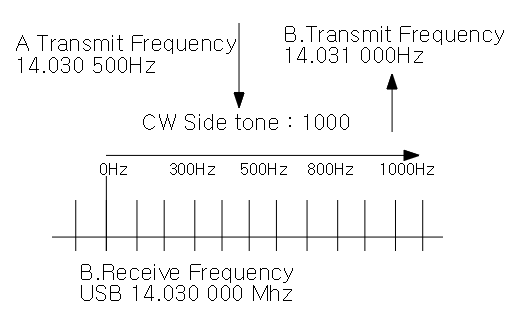 We learned about the frequency at which the CW is transmitted and the frequency at which it is received. We will be able to receive the CW sound in the desired tone in LSB and USB mode. 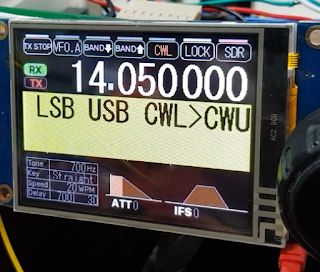 uBITX Stock Firmware can only select LSB and USB mode. 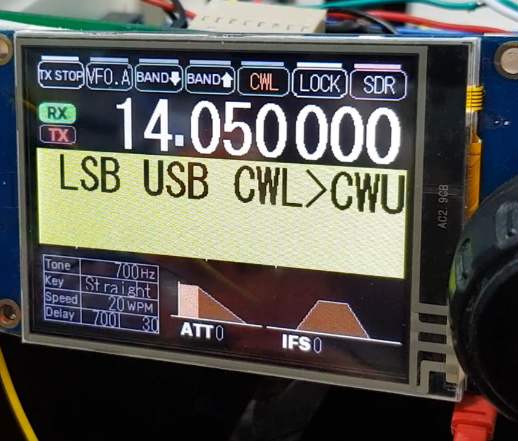 Set uBITX to USB mode and scan frequency. 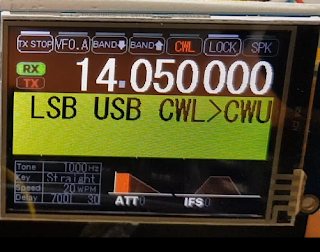 CW sound is heard at frequency 14.030 000Mhz. 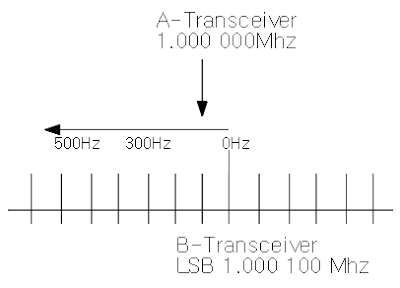 It will be the following structure. 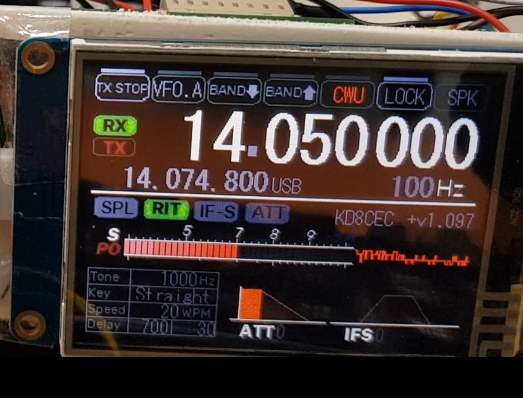 We know from chapter 2 above that the actual radio wave is not transmitted at 14.030 000 Mhz. 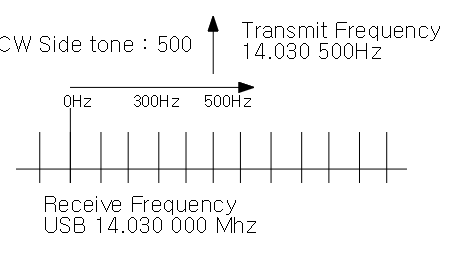 Decreasing the frequency will increase the audio frequency, and increasing the frequency will lower the audio frequency. 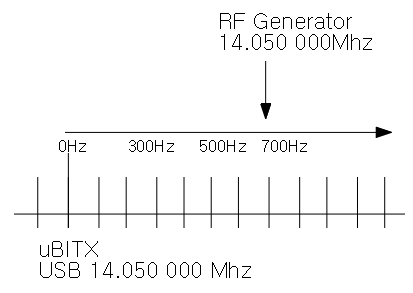 what frequency should we send radio waves to? 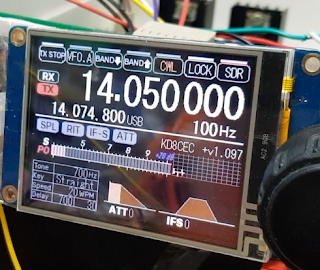 You do not have to worry about it. 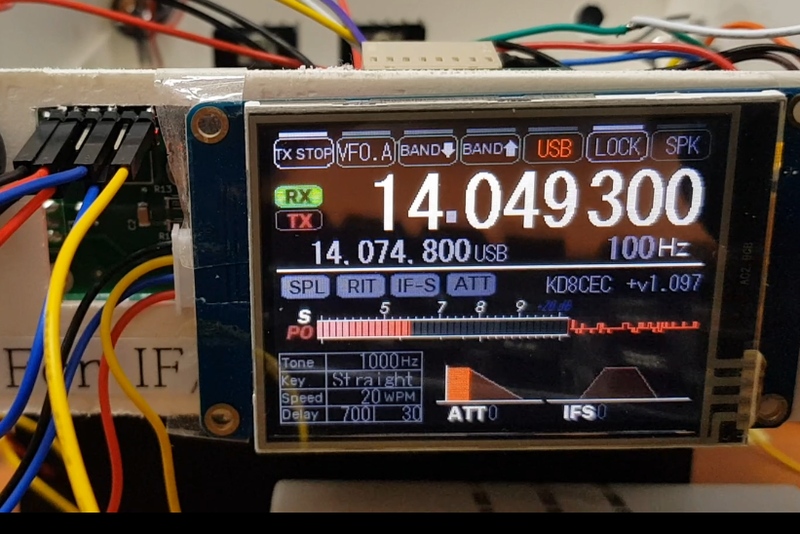 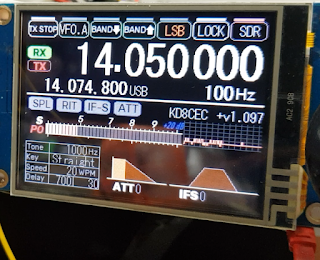 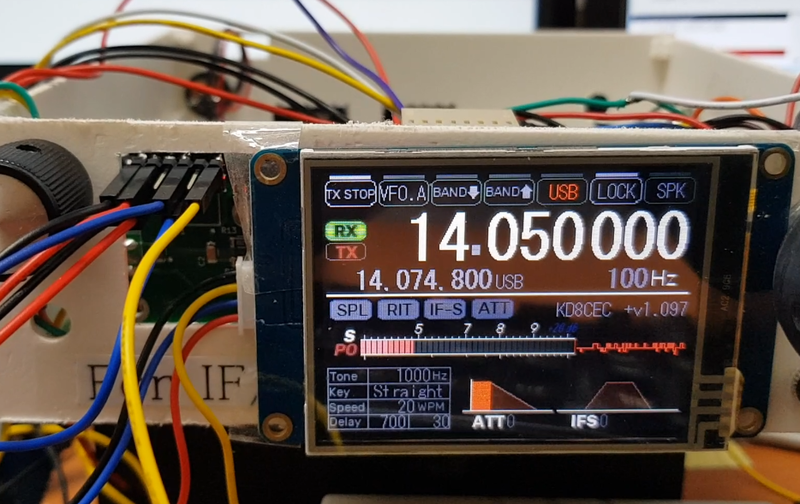 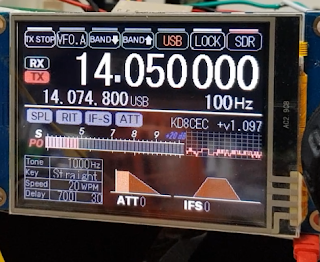 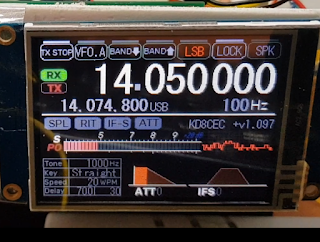 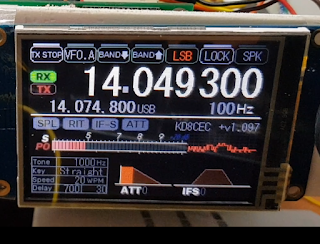 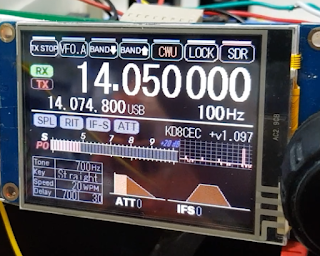 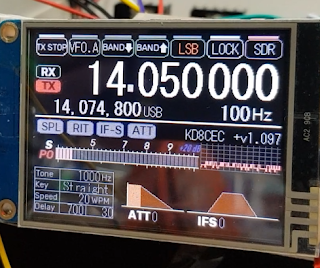 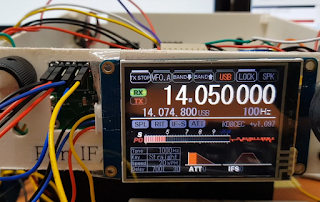 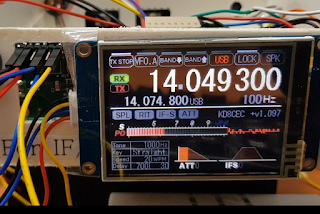 uBITX Stock firmware automatically changes the frequency when transmitting. In this way, you can communicate normally with most transceiver. 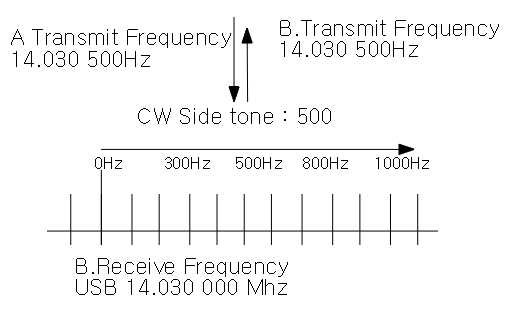 When transmitting CW radio waves, you can see that it adds and subtracts sidetone. We can understand the above sources through chapter 2 above. 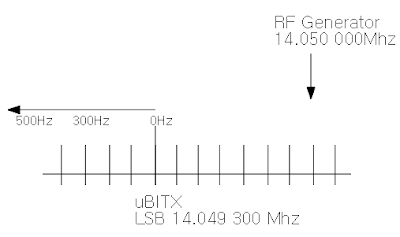 4.What is the best Sidetone value? 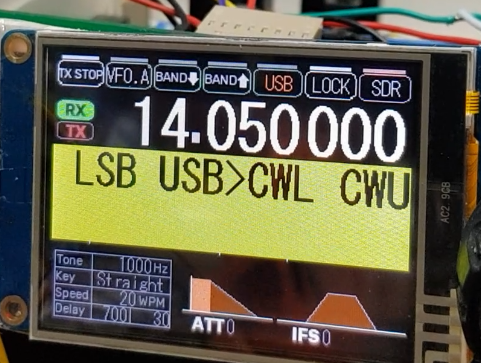 When you listen to CW notes, you have to enter what you hear best. 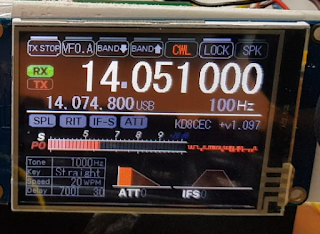 When you are in CW communication, you will notice a change in the audible CW sound frequency when you increase or decrease the frequency. 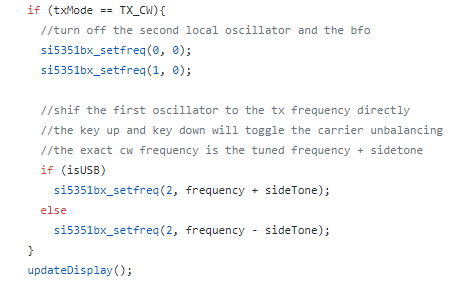 In other words, by changing the frequency, you can choose the CW sound that you are most comfortable with, Enter the frequency for that sound to Sidetone. 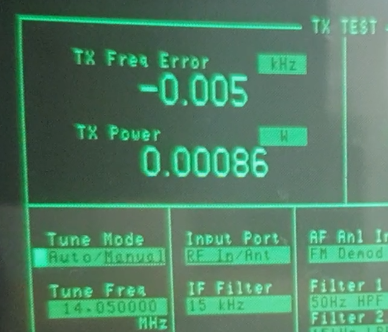 Below is the situation when the side tone is set incorrectly. 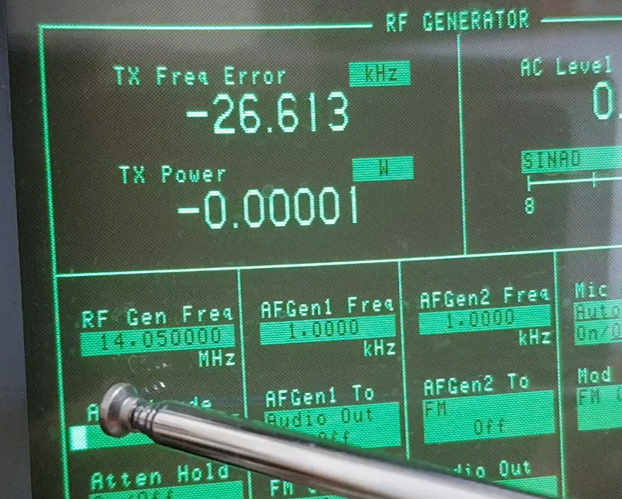 'A' likes to hear a 500Hz CW sound. 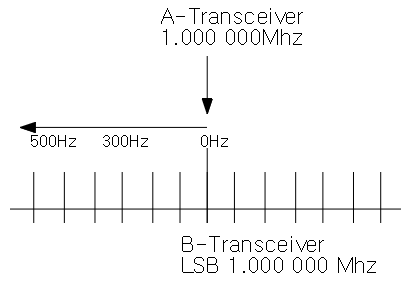 The receiving frequency is different from the transmitting frequency. Of course, communication in this state is done without problems. 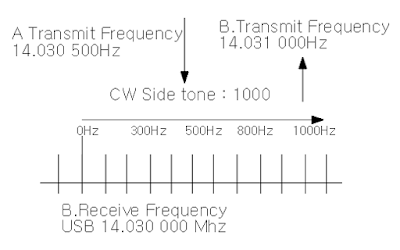 Below is the most comfortable CW Tone set to Side Toned. 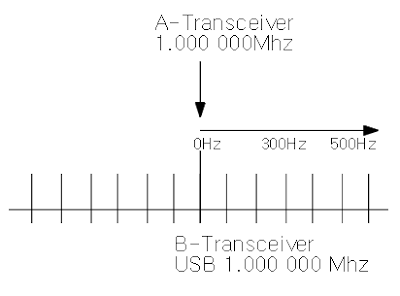 What about the other transceiver? 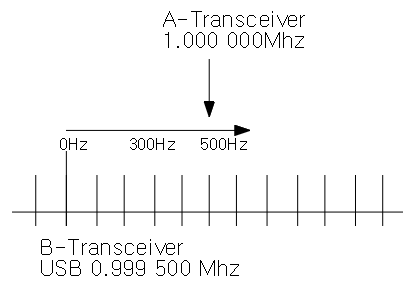 Most transceiver, such as ICOM and YAESU, are this way. After selecting CW mode, turn the frequency. 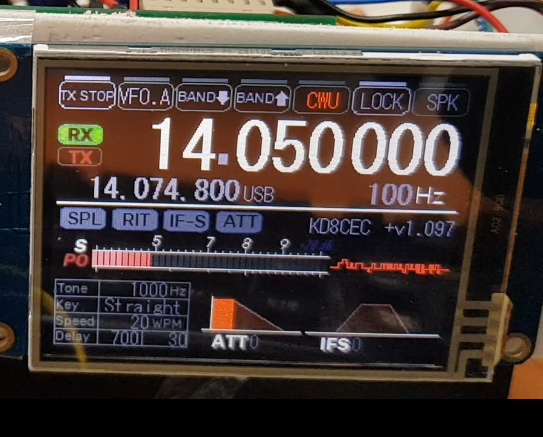 The CW tone will go down or go up. 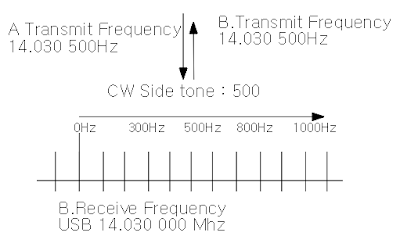 Now we know that the CW frequency is different between the receive and transmit frequencies, It will probably be as different as Sidetone in general. 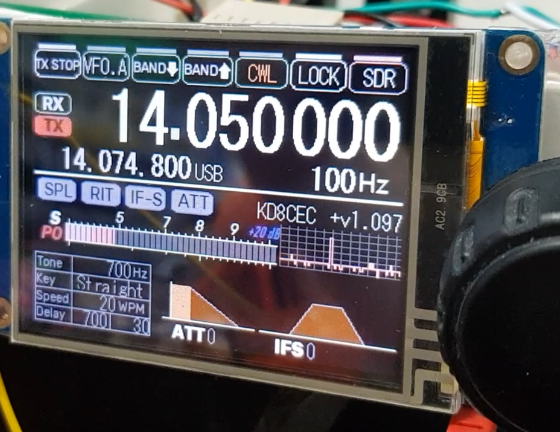 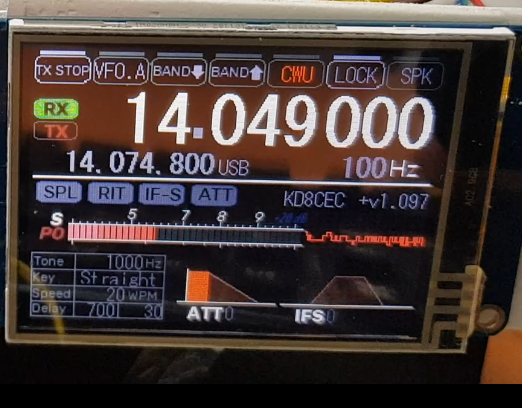 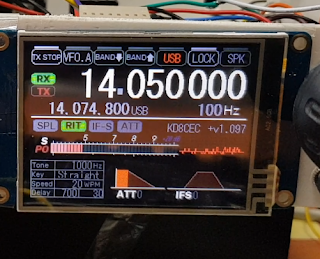 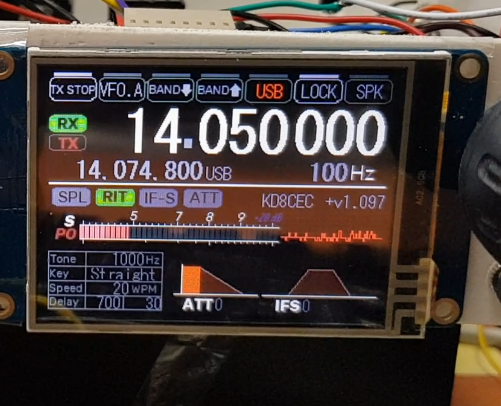 What frequency should be displayed on the screen? 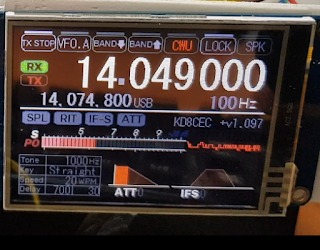 Of course, no matter what frequency is displayed, there is no problem in qso. 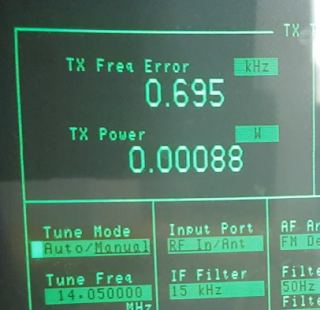 CEC firmware supports all frequency display methods since version 1.03. 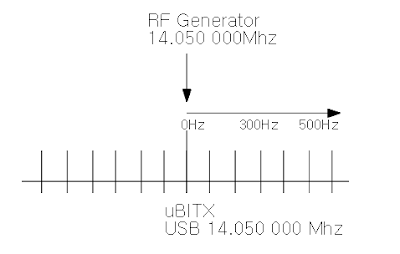 You can select it use uBITX Manager. 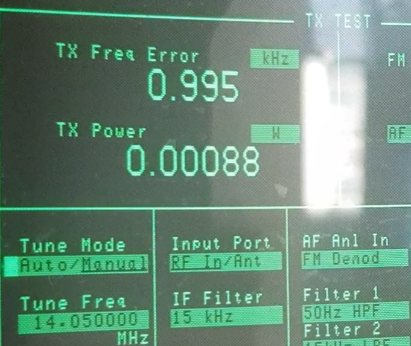 In 1.03, the default was to display the TX frequency. 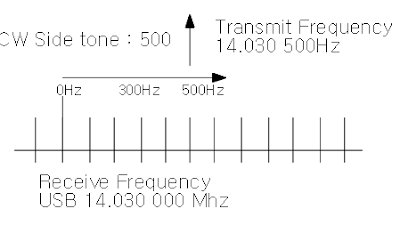 However, there was a continuous inquiry of 'the frequency indication is strange'. 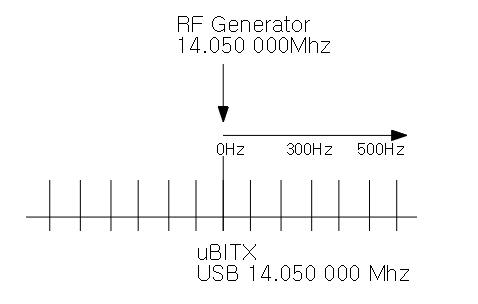 If uBITX Manager has the following settings, RX frequency is displayed. If uBITX Manager has the following settings, TX frequency is displayed. 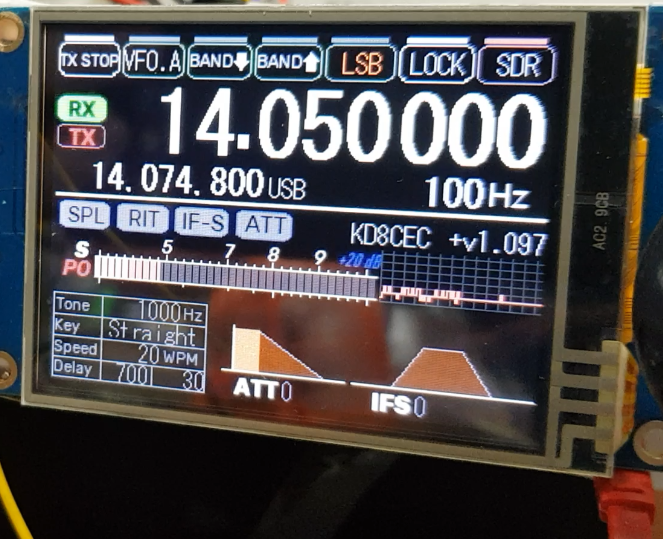 Of course, no matter what frequency is displayed, there will be no problem in communication, You can choose what you want. Set USB, 14.050 000 Mhz in uBITX, We can not hear any sounds. 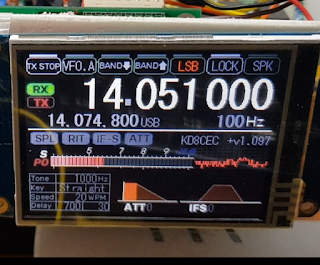 Set USB, 14.049 300 Mhz in uBITX, We can heard 700Hz Sound. 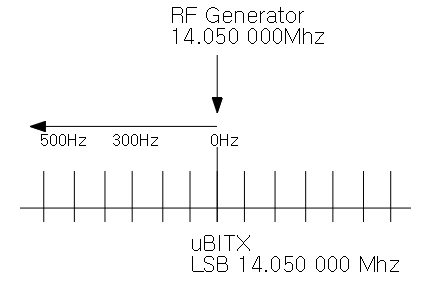 Set LSB, 14.050 000 Mhz in uBITX, We can not hear any sounds. 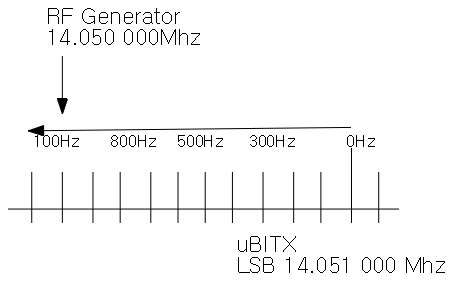 Set LSB, 14.049 300 Mhz in uBITX, We can not hear any sounds. Set LSB, 14.051 000 Mhz in uBITX, We can heard 1000Hz Sound. 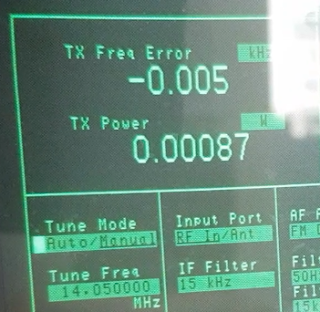 We can not hear any sounds. 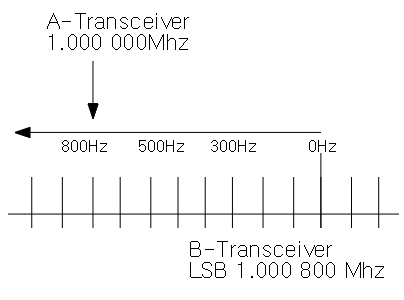 It is the same as LSB. 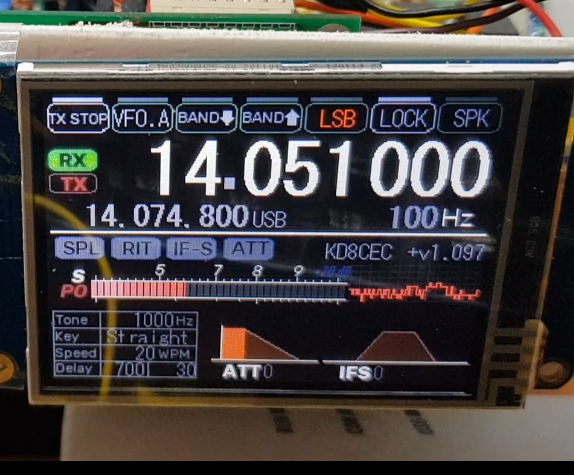 Set LSB, 14.051 000 Mhz in uBITX, We can heard 1000Hz Sound. 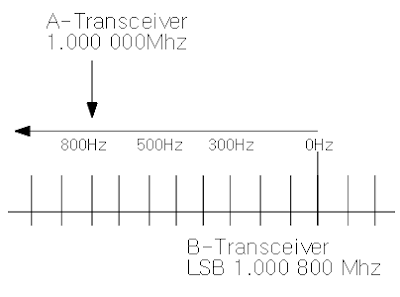 It is the same as LSB. 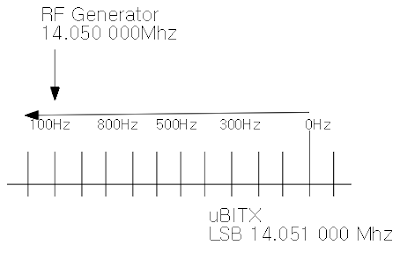 Set LSB, 14.049 000 Mhz in uBITX, We can heard 1000Hz Sound. 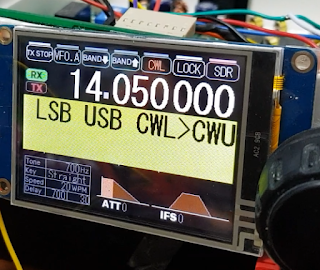 It is the same as USB. 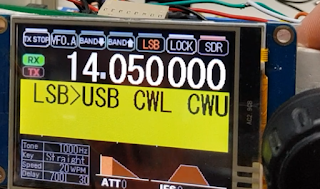 CW frequency display mode is selected as below. 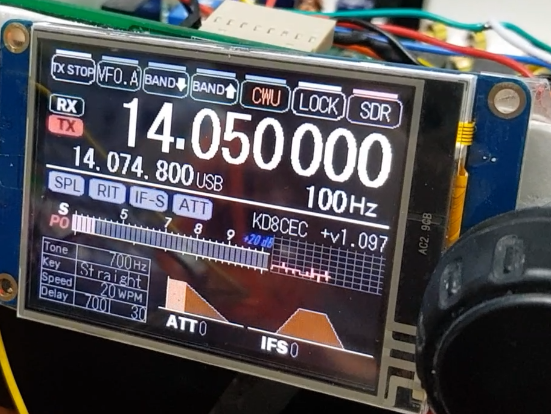 We can not hear any sounds. Set CWL, 14.050 000 Mhz in uBITX, We can heard 1000Hz Sound. 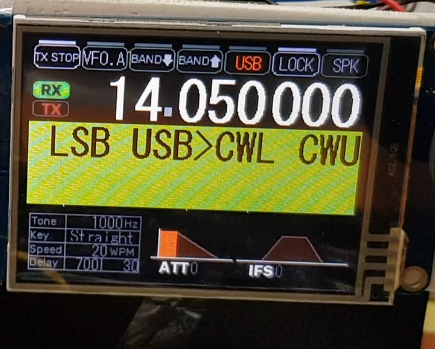 Set CWU, 14.050 000 Mhz in uBITX, We can heard 1000Hz Sound. 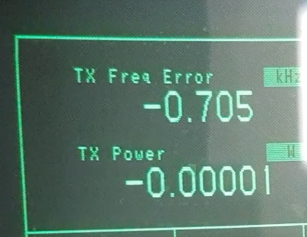 TX Freq Error - 0.700Khz (Side tone), it is same LSB Mode. 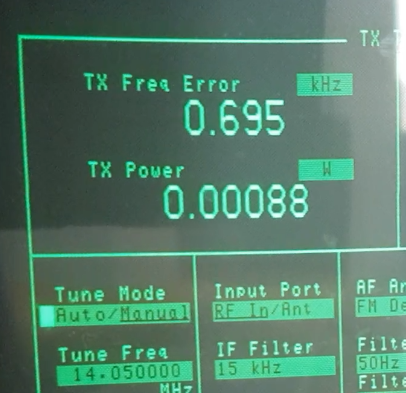 TX Freq Error 0.700Khz(0.695KHz) (Side tone), it is same LSB Mode. 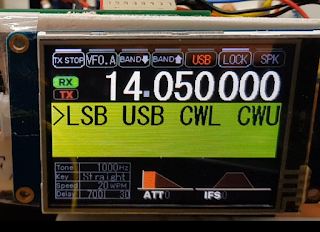 Change to CW Frequency Type using uBITX Manager. The video below is taken from this document. 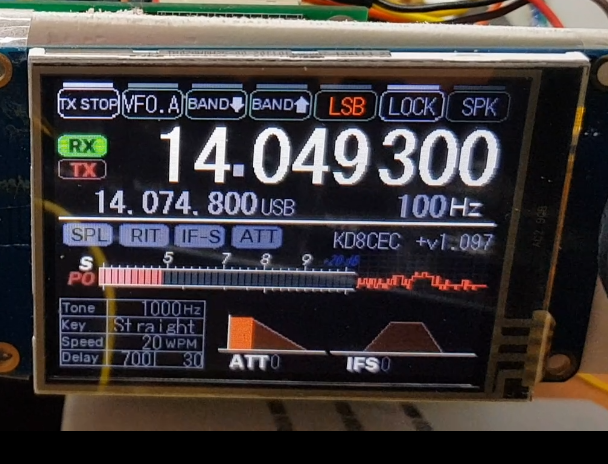 Thank you again dear Ian it works fine for my ubitx. 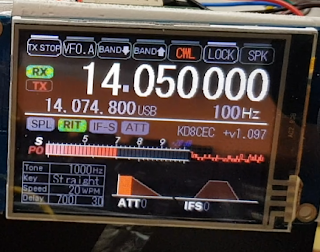 I see in your video that the values in s meter blocks are to low. 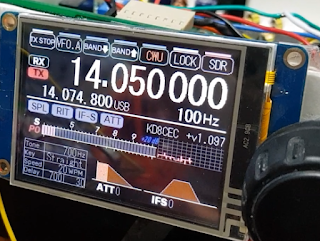 I am preparing a post for another S-Meter sensor. 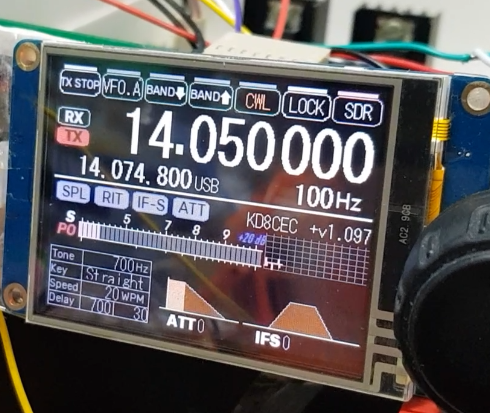 It seems a little more fun. I think the method of offsetting the transmit frequency is backwards to how CW offset should be done. 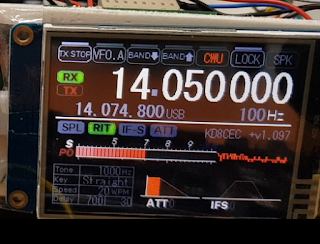 Although this works, it can have bad consequences. 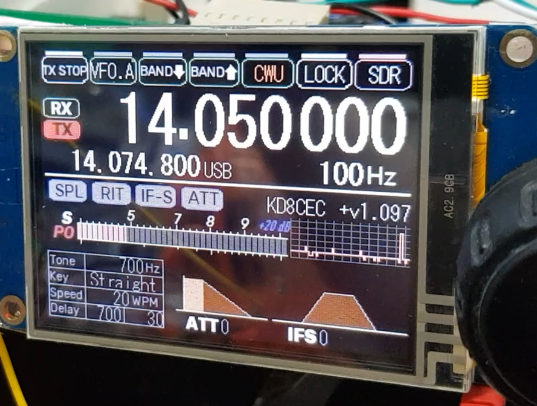 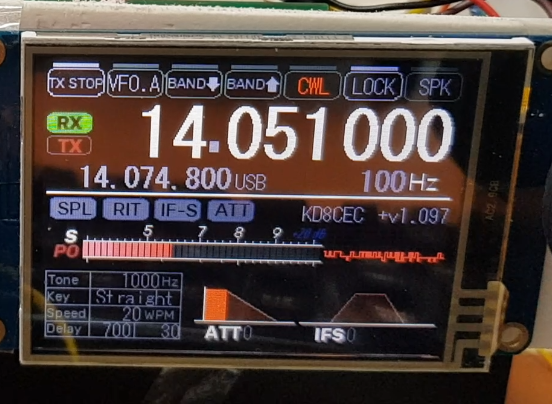 If the other station is transmitting on 14.100 I will not hear him unless I tune the uBitX to 14.099300 if I am particular about hearing a 700Hz tone and I am using CWU, so that means I actually will be transmitting on 14.100 when I send back and he will hear me. 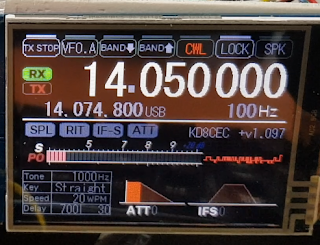 Similarly, if I have selected CWL I won’t hear him until I set the receiver to 14.100700 and I will be transmitting back on his frequency. 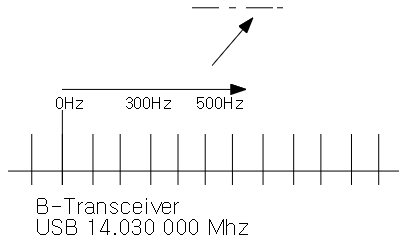 However, we should be indicating the actual transmit frequency, not where I have offset to hear the other station. If I was close to the lower band edge, and I wanted to call CQ on 14.000500, I would actually be transmitting 200Hz below the band limit if I have selected CWL mode. Other rigs I have used, even Allard's sketch for the BitX40, offset the receiver by the amount of the desired tone (offset), either up or down based on if CWU or CWL is selected, so the transmitter always is sending on the dial frequency.